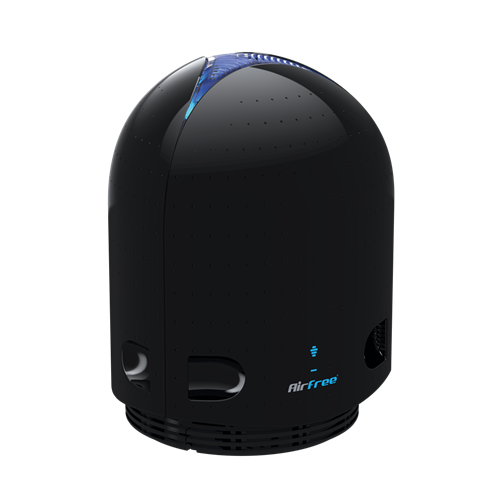 Airfree Filterless Air Purifier: This patented Thermodynamic TSS™ Technology destroys mold, dust mites, bacteria, viruses, pollens, pet dender, tobacco and other organic allergens. Airfree also reduces indoor harmful ozone levels. It is perfect for mold contaminated areas as well as asthma and allergy sufferers. Airfree’s exclusive technology is completely silent and does not require any filters or maintenance. Just plug Airfree Onix 3000 Filterless Air Purifierit in and let it do the job. Airfree’s awarded design perfectly fits your home decor. The perfect combination of the highly efficient TSS™ air sterilizing technology and the award-winning design of the Airfree P series. The P series also incorporates a smooth, adjustable, blue night light. With exclusive Patented Thermodynamic TSS™ Technology, Airfree applies the same concept as boiling water by using heat to destroy microorganisms and attains 100% efficiency at the Airfree air outlet.